This S60 demonstrates the leaps Volvo has made in economy with its replacement, the five-cylinder engines not delivering brilliant litres/100km or CO2 figures. If you can live with that you get a lot of car for your money, with space, comfort and assured safety. A solid, dependable used car purchase. Aimed at premium buyers the Volvo S60 never quite cut it among the German contenders. Instead it better competes against higher-grade mainstream models from Ford, Opel and Toyota. In its near ten-year product cycle it sold well, meaning plentiful used models to choose from. The engine range remained largely constant, though a mild refresh in 2005 brought new headlamps, more equipment, body-coloured trim and greater economy. A dependable and comfortable choice, if not a particularly exciting one. The S60 is a solid, good-looking saloon from Volvo that sits a bit uncomfortably between the usual size categories - it's slightly bigger than the mainstream and premium segment norm it aimed to compete in. That does mean decent interior space, though Volvo’s aspirations to rival Audi, BMW and Mercedes-Benz with the S60 were never quite fulfilled. On the plus side, it feels a cut above the mainstream norm, with a clear, easy to operate interior that’s comfortable and offers commendably generous levels of standard equipment. The engine range consisted of five-cylinder petrol and diesel engines, the five-cylinder layout bringing a characteristic sound though sometimes at the cost of refinement. R models with four-wheel drive and 300hp are fast, but more driving thrills can be had from the Volvo’s competitors. Mid-range diesels are the most desirable, as is the brisk 2.0-litre turbocharged petrol model with 180hp. Manual or automatic transmissions were offered in either five- or six-speed configurations, with all but the R being front-wheel drive. 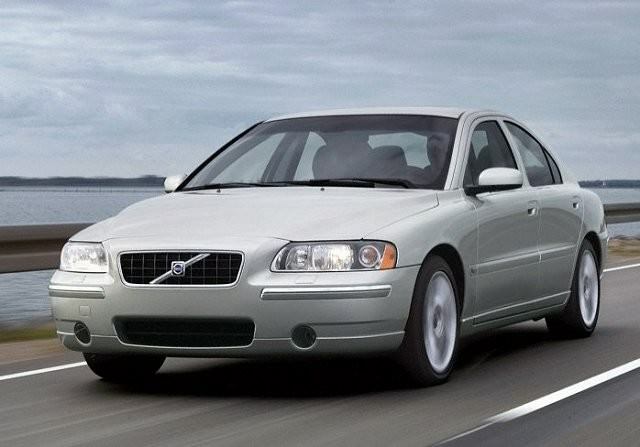 Unusually, given Volvo’s estate car reputation, the S60 was only ever offered as a saloon, those needing additional carrying capacity having to seek out the V70 instead. Trim levels followed Volvo’s usual S, SE and SE Sport lines and unsurprisingly all come loaded with safety equipment. Diesels are sought after for their better economy and CO2 output (more relevant post-2008), but you’ll pay extra for them on the used market. Better then to opt for the 2.0T model, in SE specification. It might not be able to match the diesel’s economy, but 6.9 litres/100km is respectable for this powerful 2.0-litre turbocharged engine. Reliability should be good, while standard equipment levels were high across all models. Fine driving and a safe, comfortable place to carry your family.